Spain houses many tourism destinations and Alhambra is one of the best Spanish historical and cultural tourism destinations. It is a palace and a fortress complex located in Granada, Andalusia, Spain. It was constructed as a small fortress and ignored until it was rebuilt in the mid of 11th century by the Moor emperor. It was re-constructed and converted into a beautiful royal palace in 1333. The history of the palace was very interesting as it depicts the architecture and rule of that time. The palace is also known as the Red Palace, the name it got because of the red color of its walls. It is located on the left bank of the river Darro, one of the main rivers of the region. The building was constructed in the 9th century before the arrival of Muslims in the region. The location of the building was very good for the rulers as they could explore the entire city from the top of the castle. The first Muslim emperor decided to rebuilt the building and convert it into a castle. A mosque and other buildings were also constructed near the border. In 1492, some portions of the castle were used by Christian rulers and in 1527, the palace was inserted within the Nasrid fortification. Then the castle remains untouched for couple of centuries and was rediscovered by European scholars and travelers in 19th century. The castle was occupied by different rulers and dynasties of the region, and displays the changes and additions made by each of these monarchs. As such, it is a bit of a time capsule that shows the culture and history of the region. The castle does not have a particular architectural plan. The reason behind this is that the castle was constructed and reconstructed by different style of architecture. It is a perfect blend of Muslim and Christian architecture, which influenced the culture and history of Spain during much of the medieval age. The varying appearance and use of the castle is like a quick walk down the lanes of history. The decoration of the walls and roofs of the palace typified the remains of the Moors. We can also see the little effect of Abassid architecture and it was followed by emperors for years to reproduce the same forms and architectural trends. During the time of Christian rulers, the interiors of the palace were decorated with arabesques and calligraphy. The palace was remained untouched for centuries until it was rediscovered in 19th century. After construction and restoration process, it has been developed as a tourism destination. Today, Alhambra palace exists as a great tourism destination that is visited by many tourists. The palace is a beautiful place to spend your vacations. Visitors can explore the architectural beauty of the palace. They can see the red walls of the palace can discover different parts of the place and can notice the difference between different architectural styles of the palace. A museum is also located in the palace. This can help visitors to understand the history of the palace and know about the culture and tradition of kings of different religions. Visitors can have best food and wines of the country. 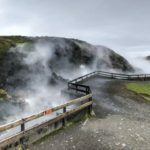 The staff of the palace is able to offer you all tourism facilities and they try their level best to make the trip of visitors unforgettable one. 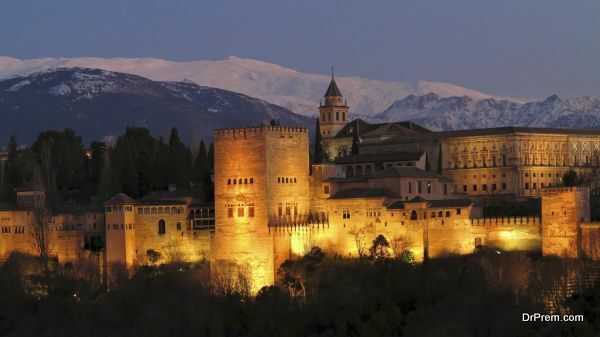 Alhambra Palace is a great historical and cultural tourism destination. It reflects the culture and history of the place, which remains changing by the time.